I have come to associate fine quality, spiritually and educationally enriching products and services with Apologia Educational Ministries. The homeschool world would just not be the same without them. They have grown to be part of the very foundation of our family’s journey through learning, not only because of their uncomparible science curriculum, but also because of the many other worldview and homeschooling resources they offer. For review we received an invaluable, encouraging resource which has filled the opening for a librarian at Gunn Ranch Academy. Read for the Heart- Whole Books For Wholehearted Families is a guide with over 1000 children’s books and authors recommended and discussed by Sarah Clarkson who, herself was nurtured and raised in the midst of living books. As with every product I’ve ever received from Apologia, this book is of beautiful quality, with thick pages, and an easy-on-the-eyes font and format. When I first opened the book, I noticed a quote by C.S. Lewis at the top of the very first page. Then I began to read the forward which was written by the Co-Founder of Lifetime Books and Gifts, which really captures the spirit and intent of this fabulous resource. As I read on through Sarah’s Acknowledgements and on into the chapters, I was absolutely amazed at the gratitude and love portrayed to her parents for a childhood centered around fine arts and great literature. The very story of her life is penned as eloquently as the stories that shaped it. This book itself is a shining example of how immersing your children in good books from the beginning of their little lives can shape and mold their whole future. As I continued to read through her beautiful story, I felt a great sense of validation and encouragement for my own family’s journey, and felt her urgency to press onward and keep up the good work I started with my own children when they were mere babes staring up at me. From their earliest days, I read aloud to them, only speculating as to what they were actually gleaning from my reading other than the soothing of Momma’s voice set to rhyme and rhythm. I even began to feel that maybe I wasn’t so crazy to have put those headphones on my big belly full of baby and played tapes I recorded of me reading some of my favorite children’s books. As I continued to read through the discussion of the whys and hows of reading great literature, I couldn’t stop smiling at the way she had put some my own thoughts and journeys through stories into brilliant words. I felt a sense of gratefulness to my own parents for instilling in me a love of books, and further identified the growth of my own children’s worlds because of their love for reading. I have often said they read me out of house and home, and have been since they were very young. I knew when both girls began reading around age four that their worlds would be filled with endless opportunity and imagination. Sarah explains this very thing. She explains the feeling of sitting snuggled together reading out loud as if she were a part of our own family reading time. What an encouragement to know others are sharing such rich experiences! You can add this hot resource to your book pile for $17.00 by clicking over to the Apologia website. You can also see a sample chapter and table of contents. ***** and two thumbs up! Check out the TOS Homeschool Crew blog for more reviews of this little jewel. *I received this book as a member of the TOS Homeschool Crew for review purposes. No other compensation was received and opinions are my own. Categories: TOS Crew Reviews 10 11 | Permalink. 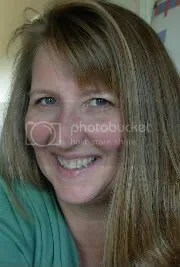 Eagle’s Wings Educational Materials is a company that was built by two sisters who are homeschooling moms desiring to develop ideas they used with their own children into a family based business which would glorify God and help other homeschooling famlies. Over a period of twelve years they have created some wonderful homeschooling products such as a phonics program, math programs, educational games, history programs, Bible studies and a really great creation-based science program which can be used with multi-level households. For review our family received Considering God’s Creation student book which is full of activities from notebooking pages to mini-books to crossword puzzles to amazing little activities and projects. We also received a Teacher’s Manual which breaks the material into 36 easy to follow step-by-step lessons, and a music/audio cd that includes songs written by the authors to help their children learn scientific definitions and relate them to their spiritual lives. The student book, teacher’s manual and audio cd can be purchased for only $29.95 for all three! Additional student workbooks are $13.95, as they are consumable and are made to be colored in, cut and glued in and used to create a lifelong notebooking memory. Considering God’s Creation is an elementary life and earth science program designed for use with 2nd to 7th graders, but adaptable to younger or even older students. It can be used as a stand alone curriculum or works well as a supplement to other natural science programs. There are many sample pages as well as sound clips from the music cd on the website. There are also some pretty in depth questions and answers that really describe the goal, mission and contents of the program as well as why and how the program was created. As we are definitely science freaks at our house, we couldn’t wait to get a peek at this awesome book after looking at the sample pages on the website. But when the book arrived and I began to look through the student work book, I really was amazed at the depth and complexity to which this goes! It’s certainly not your everyday average natural science book. The creativity and FUN factor is really awesome and as my kids completed a few of the lessons they really didn’t think it was “schoolwork.” I really just can’t even think of any other programs to compare this to. At first glance the student book looks very “busy”, packed absolutely full of page after page of hands-on creativity. My best comparison may be it’s a bit like getting one of those huge activity books as a small child that make you just want to sit down and keep working page after page. But the material here is truly “maximum coverage” as I saw it described on the website. Look at more samples here! I was equally impressed with the Teacher’s Manual. It really is simple to follow and I love that it is designed with a section to be read aloud directly to your students. It lists exactly what you need to prepare and collect for the lesson, vocabulary if needed by lesson, an introduction and activity to be read to the kids, most have a song or poem, a Bible reading, what to complete in the student notebook, review questions, and a section called “DIGGING DEEPER” that includes several additional activities, reading, etc. to add for older kids. Here’s a great sample page of the teacher’s manual. I have already recommended this program to a couple of homeschooling families looking for a multi-level creation based science program. Next year I am planning to continue using this program with my 10 year old and 5 year old together (both asked if we could PLEASE go through this whole book! ), and then going back through it when my five year old gets to be 5th or 6th grade again and can do the Digging Deeper activities. Considering God’s Creation is a wonderful homeschooling resource and definitely a treasure chest for multi-level teaching! Check out our TOS Homeschool Crew Blog for my crew mates experiences! We received CGC as members of the TOS Homeschool Crew for review purposes. No other compensation was received and opinions are our own. Categories: TOS Crew Reviews 10 11 | Tags: earth science, Homeschool, life science, multi-level science program, natural science | Permalink. Bright Ideas Press is a homeschooling company that offers some great science, history, literature and geography curricula and supplemental resources. Recently they have developed a jewel of a geography resource for download and/or cd format that will create pretty much any map you could want or need for whatever you are studying with just the click of your mouse. Wondermaps is an interactive map program containing an innovative “layer” feature which allows customizing of the many maps they offer. and add layers of names, borders, rivers, cities, physical features, battle locations, voyages, and the maps key among other things as desired. After you get the map customized to your liking, you can hit print and have exactly what you need to supplement whatever you are studying! What kinds of maps are included in the 350+ map collection? ~the complete maps sets from Mystery of History and All Amercian History program offered by Bright Ideas Press. The program also has a teacher’s guide with many ideas and activities for use with your map studies. For $49.95 you can choose to download this on your computer, or download it and then pay shipping to have a cd mailed to you. So how are we using Wondermaps at Gunn Ranch Academy? We love maps. On our adventures through Ancient Egypt and Ancient Greece, I used a variety of resources for map studies. I printed off maps from various internet sites to use to make our salt-dough maps. We have a blast making salt-dough maps, and always try to include them with our geography studies when traveling through a new time period or country. My kids LOVE to color in maps as we are reading about a new place in history or even in science or literature, or sometimes just for fun. This year Taylor (age 10) and I are working through American History using a program we received for review. Some maps are included, and some I have used from other sources. But since we received Wondermaps I must say our program has been enriched greatly. We can search out a general map and then add features we are currently studying such as rivers, and borders which seemed to change often, land claims, and even battles. It’s been an awesome way to visualize what we are studying and grasp the concepts in a hands-on way. Taylor loves to color in the maps using different colors for different country claims, Native American tribe locations, etc. Levi (age 5) really loves looking at the maps on the computer and adding and taking away layers. He especially loves being able to identify Texas on all of the maps of the US. I’m thrilled to be nuturing his love for geography and maps with Wondermaps. Morgan (age 14) has moved on into independent history studies and has just finished moving through her ancient studies. She has used map studies to clarify or supplement what she is studying, and will no doubt find Wondermaps a valuable resource as she is continuing to move through her history studies. Next year as she is beginning high school, this will play an important role as we create geography topic studies to supplement her hiistory studies to fullfill her high school geography credit. We will most definitely be using Wondermaps for the duration of our homeschooling as well as many other projects. I’m espcially excited about using them when we start Mystery of History next year. We’ve ventured through a couple of other history programs, but I’m excited to finally be trying out Mystery of History with my youngest two next schoolyear and even more excited that we will have Wondermaps to coordinate with it perfectly. Be sure to check out the other cool stuff they have on their website as well. Earlier in the year we reviewed Christian Kids Explore Chemistry and have been so impressed with it that Taylor asked if she could do the Biology one next year! What a jewel in our treasure chest of home learning materials! 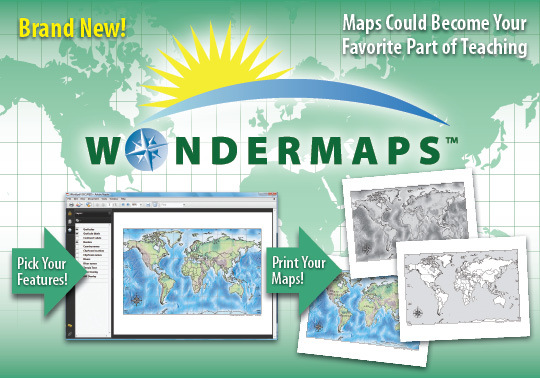 Check our the TOS Homeschool Crew blog to how other crew families enjoyed Wondermaps. 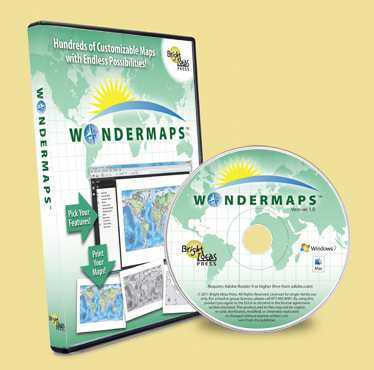 *We received a download of Wondermaps as members of the TOS Homeschool Crew for review purposes. No other compensation was received and opinions are our own. Categories: TOS Crew Reviews 10 11 | Tags: geography, Homeschool, map studies | Permalink. Upon first hearing of Institute For Excellence in Writing a few years back, I became intrigued and intensely interested in the process by which to teach my children to be “excellent” writers. Merely drawn by the word “Excellence” initially, I have been blessed with the opportunity to challenge this company’s bold inclusion of such a strong claim to their name. My thesaurus lists excellence as a noun synonymous with fineness, brilliance, superiority, distinction, and quality. Last fall, our family began a great adventure into the discovery of more than just an effective method of writing, but also an encouragement to lifelong learning. Institute For Excellence in Writing offers several programs that teach writing skills. Their original “foundation” program is a video training seminar for parents and teachers entitled Teaching Writing: Structure and Style. The program includes a live dvd presentation of a two day writing seminar and practicum taught by Andrew Pudewa, accompanied by a workbook. Additional bonus dvds included with the seminar dvds are Student Workshops Gr. 2-4, Gr. 5-7, Gr 8-10+, and Tips and Tricks for Teaching through the Nine Units. This program itself does not include student worksheets or exercises due to the fact that it is designed to be used with the students current curriculum as the source for writing (or paired with the Student Writing Intensive course produced to go along with it). The included student workshops, however, do show some examples of how to use the program with the students. Upon completion of this seminar, a parent or teacher should be fully equipped with understanding and confidence to teach their students to be lifelong, excellent writers. Andrew begins this seminar by explaining that what makes this program different from others is that the problem of “I don’t know what to write about”, which makes writing overwhelming for many children, is immediately removed. This allows students to focus on how to write without the complexity of figuring out the content. One major goal of this program is for students to learn to ask increasingly difficult questions as the units progress and build upon each other. I particularly enjoyed learning that the science and technique behind the seminar and practicum are based upon the Blended Sound-Sight Program of Learning, and hearing about some of the research and details of that program. Two important things I learned from the Tips and Tricks dvd were to move on and not get stuck on perfecting a certain task or topic, and that the only mistake you can make teaching these units is not to try. An important concept to follow is to keep moving on even if you are intimidated by the process and don’t think you really quite understand, because you will gain understanding as you move through the program, as will your students. One of the biggest reasons noted for not continuing this program is getting stuck on a certain part, doing it over and over, or using material a bit above the student’s comprehension or interest level so the student gets bored or is not interested. One of the tips for getting kids engaged in the material so it doesn’t seem boring or uninteresting is to use relevant content. Relevant Content = Increased Comprehension. Another tip for successful learning that is used in this program is “telling it back”. I’ve always used the “teaching it back to the teacher” as a benchmark for moving on, and this is a bit the same method, really. Once the student is able to tell the information back from his own notes, keyword outline, story sequence, etc, the teacher can be assured the student is engaged in his own learning. The program also lends itself to setting the writer free from perfectionistic tendencies by allowing her the freedom to experiment, make a mess, and not stress about getting all the grammatical, spelling and punctuation elements perfect the very first time her ideas are put on paper. By making the rule “no erasing, double spacing”, Andrew allows the students full reign of their ideas so they can just write without worrying about messing up. This is a portion of his concept Minimum Correction/Maximum Encouragement. Novel idea, huh? Once TWSS has been completed, a parent/teacher should have no problem using what has been learned to structure writing lessons for any subject being taught. There are additional materials and programs on the IEW website designed to help a teacher apply the writing structure and stylistic techniques they’ve learned to various subject material such as history and literature studies. As a supplement to the TWSS teacher’s seminar, the Student Writing Intensive was produced to provide direct instruction for students and model the lessons taught in the seminar to teachers. This program is a live dvd presentation of a week-long student seminar, which was taught at three different class levels. Each of the levels are appropriate for beginning writers. They all include the same basic topics and instruction geared towards the specified ages. While the actual dvd seminar is taught over a one week period, a 30 week course schedule is included along with lesson plans which include where to start and stop listening to the dvd. The Student Workbook which accompanies the program includes all of the handouts, addition practice and reinforcement materials, a scope and sequence of the lessons including optional source material, the suggested 30 week course schedule, and detailed teacher’s notes for each of the 15 lessons. This spreads the week long seminar out into a fully workable course, adding supplemental practice to reinforce the writing skills being taught so the students learn effectively. The Student Writing Intensive (SWI) is based on the Teaching Writing: Structure and Style (TWSS) seminar, however, it can be used successfully without watching the teacher’s seminar. The student and parent can easily follow through the dvd lessons and workbook materials following the included schedule. The two, however, are best used together using the TWSS program alongside teaching SWI. Notes are included at the beginning of each SWI lesson directing which section of the teachers seminar dvd to watch and which pages in the teacher’s seminar notebook to read concurrently. This helps the teacher understand the reasons behind the instruction as well as passes along many teaching tricks and tips for teaching the lessons. As with anything, doing the lessons yourself will certainly help you be able to explain and model the teaching better! Once the Student Writing Intensive is completed (at any of the three levels), IEW offers Student Intensive Continuation Courses at each of the three levels as an option to continuation of the writing lessons. After a student completes a basic level of SWI, then the student would move through the next levels of SICC (not returning to the next level of SWI which assumes no previous writing experience.) This provides years of extensive writing instructions through the dvd method. While there are many other materials and programs offered by IEW to develop and advance a student’s educational experience, I’d like to share our family’s experience with the Teaching Writing: Structure and Style/ Student Writing Intensive Level C combo pack (Gr 9-12) which can be purchased for $239.00 on the IEW website. Our family also received a handy fold-out Portable Wall ($7.00)which is a thick cardboard tri-folder with writing models and word lists. I feel the need to preface our experience with IEW by saying I have been acutely aware and praying for direction concerning writing instruction in our homeschool over the past couple of years. My oldest has been through a few writing programs, and seemed to be able to fair pretty well when writing subject material essays. Our history curriculum utilizes essays as a main part of the program, so writing is not completely foreign to either of my girls. Both my 14 year old and 10 year old are voracious readers. They have always loved to write and make up stories. 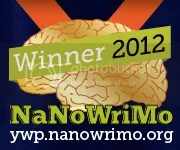 Both achieved excellent goals writing novels in the online NaNoWriMo challenge last fall, which is a month long creative writing program anyone can participate in. My 10 year old, however, hasn’t really ever had much formal writing instruction. As I researched through a few different writing programs, I felt as if IEW really had a solid and structured-looking format which seemed to have the goal of lifelong application. Since my girls both aspire to attend college, I felt IEW would be a worthwhile endeavor. When given the opportunity to review the IEW program, I was absolutely overwhelmed with joy and gratitude! Upon choosing a level, I read through the descriptions and learned that all of the SWI levels teach the same basic writing structure and style, but at the reading and comprehension level specific for the given ages. Subject material used is adapted to the level, and the higher levels progress a bit faster through the program. I felt with my oldest having prior writing experience and both girls reading on a high school level that level C would be a good fit, especially since I would be using the Teaching Writing: Structure and Style along with them. This would allow me to understand the concepts and adapt the level to my younger student as necessary. When I first received the program I was so excited, but was really overwhelmed. I immediately opened the TWSS Seminar notebook and read the introduction, but as I began to flip through the pages, I became even more overwhelmed. I have always loved grammar and writing, so I originally thought this would be a piece of cake for me. The notes, however, looked completely unfamiliar, leading me to the conclusion that I had some serious work to do! (As well as a serious time commitment ahead of me!) This would not just be a quick review; this would be an intensive learning seminar I would need to be engaged with! A few days later as time permitted, I began to flip through the student workbook. I read through the introduction, which really grabbed my attention, followed by the scope and sequence, and then an organized course schedule. I began to get a little nervous about using both courses together until I flipped back to the first page of the notebook which was a bold print page entitled Easy Start Instructions. I grabbed my TWSS notebook to look for the same sheet, and yes indeed I found a sheet called Quick Start Guide. (Actually, the notebooks don’t come assembled. The pages and dividers are in packages sent separately with instructions on how to assemble them.) Those little jewels eased my mind significantly on diving in feet first! With November dedicated to NaNoWriMo, I decided to try and watch the TWSS dvd’s myself before forging ahead into the Student program with the girls. The girls did, however confiscate the Portable Wall for use with their creative writing adventure! While they didn’t yet understand the model parts of the chart, they certainly appreciated having lists of “ly” adverbs, synonyms for “said”, prepositions and strong verbs for use with their story writing! As I began to watch the teachers seminar, I found Andrew to be every bit as humorous and engaging as I had heard he was. Of all the boring lectures I sat through in my 9 years of college, I wish I had been introduced to many more instructors with the enthusiasm and down-to-earth speaking manners of Andrew Pudewa. I really felt as if I were sitting right in the classroom with him and found myself disappointed when I realized I was unable to engage personally in his lectures!! I have not had the privilege to hear him speak in person, but you better be sure I’ll jump at the opportunity if ever given the chance. While I am without a doubt a hands-on-learner, I definitely found the practicum portion of this program easy to follow and even easier to teach as I worked through the lessons and completed the seminar assignments myself. After the holidays and new year, I couldn’t wait to get started with my girls. I knew they would be working through the program at different speeds, so we just scheduled times separately to work through the lessons after watching the first one together. My oldest worked through the lessons very quickly, finding that she didn’t need to work through many of the reinforcement or extra practice exercises. With my ten year old we worked at a slower pace, completing most of the extra materials included with the program as well as using our personal subject materials to work from. She really enjoyed using her own choice of materials. I saw incredible reinforcement and progression in her understanding this way. I’m still working through the program at a slower pace with my 10 year old, and watching the Teacher dvd lessons over as included in the student lesson notes. This has really shown me how well the two programs compliment each other. I certainly feel that it works like a well-oiled machine when together as suggested! In closing I must strongly express the extreme usefulness and academic success this program has the potential to bring into any student’s future. Started at an early age, I can only imagine where these little scholars might end up. Started in middle to high school, it can certainly pave a pathway of success for college, grad school, or any future endeavor. This program contains so much more than writing instruction. There are many tips and tricks on how to effectively read and use textbooks, take lecture notes you can understand, survive not only in college, but in life. There are endless references to the challenges of teaching children- your own and others, the differences in boys and girls, learning styles, comprehension, organizational skills, and methods of learning. It’s all in there. The IEW website is CHALKED FULL of useful information, articles, conference talk handouts, and encouragement of all kinds. One last valuable resource I would like to mention here, is the IEW Yahoo group. I joined this forum for support and ideas on using this program, and found a WEALTH of knowledge there. There are some amazing questions, answers and ideas on all of the materials offered on the IEW website. There is also a group for coop and teachers of small groups, and another for traditional classroom teachers. This company and its programs are appropriately named Excellent. This is, indeed, Fine, Brilliant, Superior, Distinctive and Quality learning material! I will be forever grateful to IEW for extending their excellence into our homeschool. I can’t wait to use Excellence in Literature in our high school journey! Check out my Crew Mates’ adventures with this and some of the other IEW products by visiting the Crew Blog. If you are thinking about using IEW, have questions, opinions, or comments on this program- I’d love to hear them! We received these IEW materials as members of the TOS Homeschool Crew for review purposes. No other compensation was received and opinions expressed here are our own. Categories: TOS Crew Reviews 10 11 | Tags: Andrew Pudewa, college prep, Homeschool, IEW, writing instruction | Permalink. I absolutely love that my kids read me out of house and home. Our house is full of books, books and more books, with no place to put many of them. As homeschoolers, we have books of all types, varieties and flavors, especially since most of our studies are built around living books. I was first introduced to Yesterday’s Classics doing a search for out-of-print literature used in our history curriculum. As I searched through the many titles available, I was absolutely amazed by the variety of reprinted titles this company had worked to reprint. The few paperbacks we own by this company are beautiful reproductions of the original works, with black and white illustrations included. They are easy to read, clean, attractive copies that make our reading pleasurable. When we were offered the opportunity to reviewYesterday’s Classics eBook Package of 225 Titles, I was overwhelmed with joy! I immediately clicked over to the website to view the variety of titles and I had a pleasurably difficult time just wrapping my brain around the huge amount of quality literature offered in this package. I was thrilled with the opportunity to have the titles in EPUB format to be able to load onto my iTouch as desired. Our Crew was given the opportunity to download EPUB, Kindle or both formats. While I’ve wanted a Kindle for quite some time, since I already have my iTouch that requires EPUB format I decided I would change the Kindle on my wishlist to a Nook. I have since learned there are a wide variety of ereader devices out there, as well as a wide variety of ereader software applications to use with the devices as well as your PC, netbook, or tablet. There are a few extra files aside from the actual books included with the package, one being a “Guide to eReader Devices and Software”. This file includes an extensive table which compares and contrasts ereader devices, and also a separate one that compares and contrasts the many software applications available for reading the files on your computer. I was somewhat confused about eReader devices as well as the different file types and software apps before I read the file, but it does a wonderful job of clearing up any confusion and explaining it all. Two such free apps (one for Kindle files and one for EPUB files) are included on the Instructions for Viewing Sample files on your Computer page on the website, but there are many more apps. One of these apps must be downloaded to your computer prior to viewing the free eBook sample file, The Dutch Twins by Lucy Fitch Perkins on the website. Don’t worry- if you download the app from the website to read your eBook, you can still change your mind in the future and download a different app to view your books if you decide you want to after reading through the file on apps. I decided to download Calibre on my computer and I think it’s just an excellent, organized, easy-on-the eyes app for reading my eBooks. So exactly what do you get with the Yesterday’s Classics 225 eBook Package? Well, you get immediate access to download 225 titles in either EPUB or Kindle format to your computer. You then have unlimited ability to load the books onto as many devices or computers as you wish (there are no Digital Rights Management Restrictions!!). You can even load the files onto a thumb drive to take with you anywhere! You can even print as many copies of the files as you wish. I really love that illustrations are included in color if they were in the original versions. While you might find free access to many of these same books on the web, most don’t include illustrations, especially in color, and many are poor reproductions and can be frustrating to read through. Another thing the free versions out there usually don’t include is a table of contents. It’s so much easier to and nicer to have a table of contents to refer to, but vital to have when using the books for schoolwork assignments. Other files included with the package besides the eReader and Software guide include a list of all books arranged by level, genre, author and title. a list of all books along with descriptions and thumbnails, and a guide to downloading files and transferring them to eReaders. You will also find a fabulous customer support, email support, and unbelievably a 100% Risk free money-back guarantee. Wow. Now if you currently have an eReader you buy books for, or you spend your time perusing used book sites for the best deals on quality literature for your homeschool or personal use, then you already know what a deal this is. If you haven’t routinely shelled out a a pretty penny on a bundle of books, then let me just add here that the paperback editions of all the books included here would total $2495.75. (I spent $37.85 for the three titles I purchased in paperback form pictured above! ) The EPUB or Kindle files of these same books if purchased separately would total $648.80. The titles can also be purchased individually in eBook format ranging from $1.99 to $6.99 per file. So how do we like the eBooks at Gunn Ranch Academy? Well, again, my children read me out of house and home, so this amazing collection of books has expanded our library to include titles for our studies that I might not have found or been able to afford to use before. I have had to be very choosy in my purchase of books to use for our history studies due to limited finances, and sometimes the books we use we only need a portion of, rather than the whole book, which makes it unfeasible to purchase. While our library has a few of the titles we need, it’s really hard with our busy schedule to continually borrow and return, or worse yet use an inter-library loan to find books then need to pick them up when they arrive and be limited to a two week borrow schedule. Many of the books we use for our history curriculum are used throughout the study as well, making a two week borrow period obsolete. Just so many more reasons I could list why we started trying to buy as many of the books as possible for our history. Last summer I spent hours researching the books we would be needing for our history program, comparing prices, then narrowing down my choices to make it affordable. I put in a couple of big orders to online books sellers, then packed a container with the books, the history guide, and a schedule for my oldest student to follow. It has been the most amazing year for history she has ever had, and I’m just astounded by the information she has learned and retained from her study of classic and great literature. This collection of 225 Yesterday’s Classics books is really an answer to prayer as I am searching out resources to continue our history studies using living books next year! While there’s nothing like the feel, the smell, the comfort of a yummy book in your hands, reading from an eReader device does have its advantages such as shelf space (or floor space- and the books don’t get piled so high they begin to sway and then fall over :), they don’t collect dust when not in use, and you can throw the whole collection in your backpack to transport anywhere you go- to whip out and read while waiting in a long line, flying on a plane, or easily flip through your books while sunning yourself at the beach! Not only is the collection great for history studies, though, it contains many books perfect to introduce my littlest student, who will be officially starting Kindergarten next year, to classic, timeless literature. There are also many selections that fit my ten year old nature lover’s interest as well. What a jewel this will be in our treasure box of teaching materials!! THANK YOU YESTERDAY’S CLASSICS for helping me to bring classic, quality literature to my children! If you are interested in seeing all the books you get with this offer, or are itching to get your hands on this sweet deal, click here! If you’d like to see what my Crew Mates had to say about Yesterday’s Classics, visit the Crew Blog. In closing, I just have to say that the reading of great, timeless, classic literature just opens up a whole world of imagination not obtainable through video games or movies. From babies sitting on your lap listening, to littles snuggled on the couch anxiously anticipating the ending, to teens hiding out in their rooms forging through a pile stacked high on their floors (or reading a lightweight eReader packed with a seemingly endless amount of titles! ), to grandfather sitting in a rocking chair- nothing will EVER be able to replace great literature, or the reading of it. I received Yesterday’s Classics 225 eBook package as a member to the TOS Crew for review purposes. No other compensation was received, and opinions are my own. Categories: TOS Crew Reviews 10 11 | Tags: Classic children's literature, eBooks, Homeschool, living books, out-of-print books | Permalink. For review our family received the first DVD in a series called Art Class taught by Master Artist Pat Knepley. The complete series includes 36 step-by-step lessons on nine dvd’s designed to teach kids from a very young age basic drawing. Not only does this program teach step-by-step techniques through progressive skill building, but it also integrates art history and Biblical truths into the easy to follow lessons. The lessons are just the perfect length to capture younger children’s attention, 10-15 minutes, yet include followup activities for further learning and practice. Best of all, most lessons only require basic supplies such as pencils, erasers and paper. Art Class Volumes 1-9 can be purchased for $99.99. See The Light also offers Art Class as an online subscription in which four lessons per month (one volume) can be viewed for $10.00 per month. The dvd that our family received is Volume 1: Art Lessons 1-4 The Basics. *Lesson 1 Tools of The Trade demonstrates what you need on hand to always be ready to draw. *Lesson 2 It All Starts With a Line uses an apple to teach different qualities of a line, and contour drawing. *Lesson 3 Contours and Composition shows how your hands and eyes can be synchronized, and how to place items in a drawing to get the best results through using a couple of apples. *Lesson 4 Draw What You See uses a shoe to help teach complete contour drawing. *Bonus Chalk-It-Easy Chalk Art Lesson taught by See The Light chalk artist Gloria Kohlmann shows how to use flourescent chalk and a black light for a cool effect. You can receive this same DVD for free here, or view the first three lessons free here. You can also see a more detailed description of this and the other 8 volumes here. Our family also received a dvd with preview clips of the program to view. I’ll begin by saying my children were very disappointed that there weren’t more lessons!! They really enjoyed the short, easy to understand instruction. The teacher has a pleasant tone and the lessons are very easy to follow. My five year old Levi and ten year old Taylor both really enjoyed following the directions to draw an apple, two apples, and a tennis shoe. Great for boys and girls! I was really impressed by the results of both of their artwork. While we didn’t have flourescent chalk to create the bonus lesson artwork, they both really loved seeing the result of the blacklight shining on the flourescent chalk creation on the bonus lesson and plan to try it out sometime. See what my crewmates thought of the first dvd in the series over at the crew blog while you’re waiting on yours to arrive!! We received this dvd for review purposes as members of the TOS Homeschool Crew. No other compensation was received and opinions are my own. For review, our family received one volume (all six levels plus teaching notes) of an interesting supplemental resource designed to integrate reading, writing, science, math and technology together in a twice-monthly, colorful, 4-page activity newsletter. Science Weekly is published 15 times per year at six reading levels, Grades K-6. Each volume focuses on one subject, for example, our family received Vol. 27, No. 06 Composting. A list of topics for each of the 15 issues for the 2010-11 school year can be seen here. Included with each subscription is a Teaching Notes Newsletter, making it possible to teach children at each level together. Included in the teaching notes is a summary of the focus topic, notes for the included lab, more indepth information of the topic, questions to ask, and then an outline of each level’s newsletter including answer keys and thought provoking questions. Wrapping up the teaching notes is a section of helpful resources for planning classroom activities, recommended and internet resources. Individual subscription rate is $19.95 per student per year (<20 subs) which includes teaching notes. 10% s & H will be added to total. Click here for access to the order page where you can also see samples of each reading level as well as the Teaching Notes. We received all six levels of Volume 27 No. 6 Composting. After looking through all six levels myself, I read through the teaching notes to get a feel for the topic and activities. Then I presented Taylor (age 10, grade 5) with level E for grades 5-6 and Levi (age 5, Pre-K) with level Pre-A designed for grade K. Both children were not real fond of “Why Fly” who is the cartoon character fly host. I am, of course, totally grossed out by flies, so I’m sure this might have been reflected in their opinions :). Other families might not have a problem with flies. Both kids thought the issues were boring and dry. Taylor was a bit astonished by the remedial level of vocabulary words and asked initially if I had given her a lower level issue. She felt the vocabulary and learning material included was way below 5-6th grade level. The Pre-A level (for Kindergarten) didn’t have enough things to do according to Levi (my preschooler). While this would be appropriate for the short attention spans of Kindergartners in a public school setting, Levi wanted to look through more of the upper level issues to find more to do. He did enjoy the “lab” which involved making his own bag of compost. When subscribing to the supplement, however, you receive one level per student, and not all six levels each time, so looking through upper levels wouldn’t be possible with a regular subscription unless a family subscribed to all six issues. In my opinion, the newspapers could be good learning devices as long as the teacher was well prepared to go into more depth with the subject at hand. This is, I believe, the way the supplement was intended to be used, as a prepared lesson for the students. I don’t feel the newspapers lend themselves well to hand the kids for independent study. While this wasn’t a good fit for our family, it might be for those families who enjoy a brief detour through a random subject with activities they can do together, if the parent has time to read and prepare the activities and lesson beforehand. It’s always exciting to take a break and dive off into a random subject sometimes! Visit our Crew Blog for other family experiences with Science Weekly! We received one complete volume of Science Weekly for review purposes as members of the TOS Homeschool Crew. No other compensation was received, and opinions are our own.